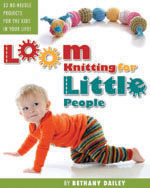 This book is all about loom knitting for kidletts! From toys to garments, you’ll find about 30 original projects inside… I hope you all like the idea. Stay tuned for more updates soon. Keep yourselves busy looming and enjoying the new snippets of spring sunshine in the meantime! This entry was posted in Book Progress, Goals, Loom Knitting, Looming Patterns, Project Preview. Bookmark the permalink.